In addition to great quality, low-cost calling with Flexicalls Voiceline, you get the following features -- FREE with every monthly calling plan. Purchase a Flexicalls Innomedia adapter. More info.. When you receive your adapter, connect it to your router and high speed Internet connection. 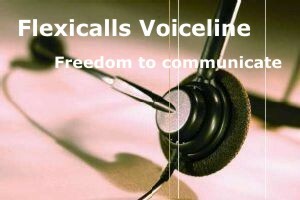 Learn more..
Plug in your phone and start using your Flexicalls Voiceline service.